Explanation: This dramatic image of Jupiter is touted as the sharpest picture of the entire gas giant ever taken from the ground. The picture was made using a prototype instrument known as MAD (Multi-conjugate Adaptive optics Demonstrator) mounted on one of the European Southern Observatory's 8-meter diameter Very Large Telescope units in Chile. Working at infrared wavelengths the MAD instrument removes atmospheric blurring, the bane of earthbound telescopes, by using multiple guide stars and deformable mirrors to sense and correct for the distortions produced by turbulence in Earth's atmosphere. 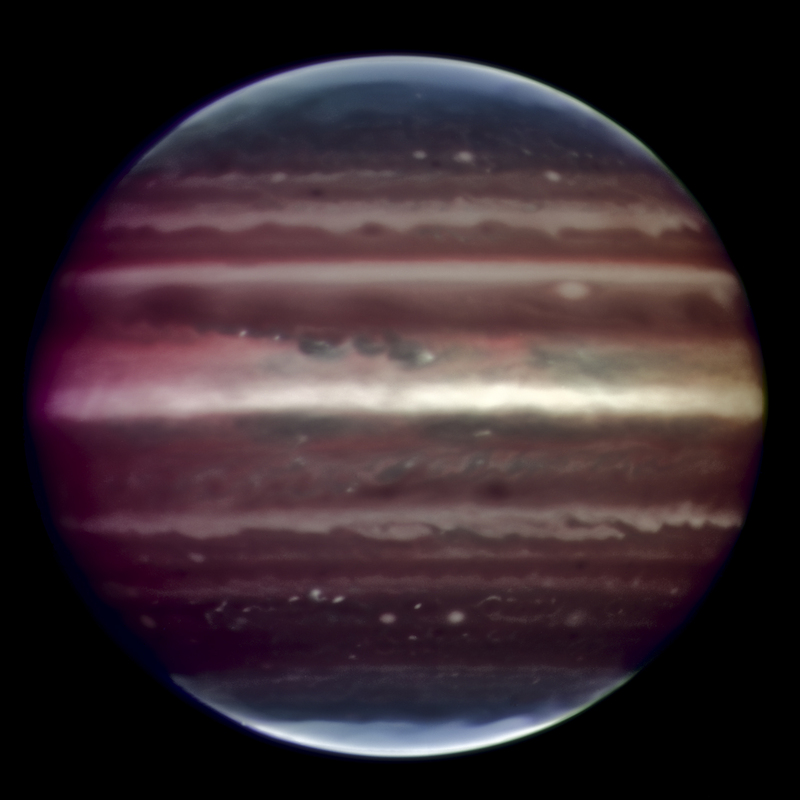 Hydrogen and methane deep in Jupiter's own thick atmosphere absorb light at infrared wavelengths. 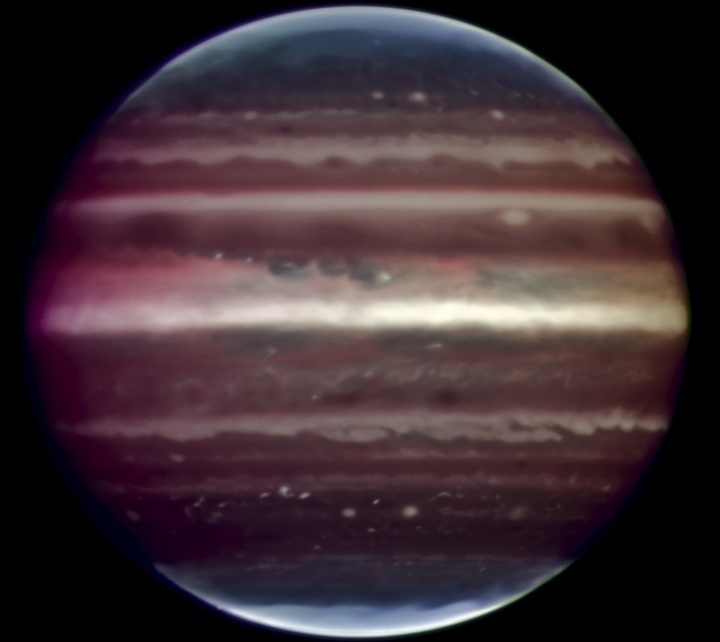 So, this sharper view shows the infrared sunlight reflected from the giant planet's high level haze prominent in the equatorial regions and near the poles. It reveals features as small as 300 kilometers across. The promising technique can also be applied to imaging other extended objects like star clusters and nebulae. Take a survey on Aesthetics and Astronomy.